Aalayam - Colors, Cuisines and Cultures Inspired! : Little Bites of Culture! My husband and I are foodies. We love eating, we love trying different kinds of cuisines. We have a special fondness for the comfort and rich variety of Indian food. Both of us are from Bengalooru, where conversations and commemorations are woven around intricately designed menus - which cater to the savvy designer palate or the picky street food gourmand. I have Chaat and Street Food parties at home. I try and recreate the beauty and simplicity of Bengalooru food in my kitchen. If you follow me on Facebook, you know what I am talking about. A sneak peek for you, of my Facebook album replete with the many authentic (and not so authentic) gastronomic delights I create in my Kitchen. This is the premise. We are raising our twin daughters in the USA. We are also raising them to be vegetarian and accepting of the best of what all cultures have to offer them. I make Akki Rotti (Rice Crepes) for them for school lunch some days. Some days I send them Chapatis or Parathas with Chole or Rajma. Some days I make Quesadilla or a Guacamole sandwich. Fridays are for Lo Mein or Fried Rice. So you see, my girls eat everything that is yummy, and healthy. Just like my husband and me. 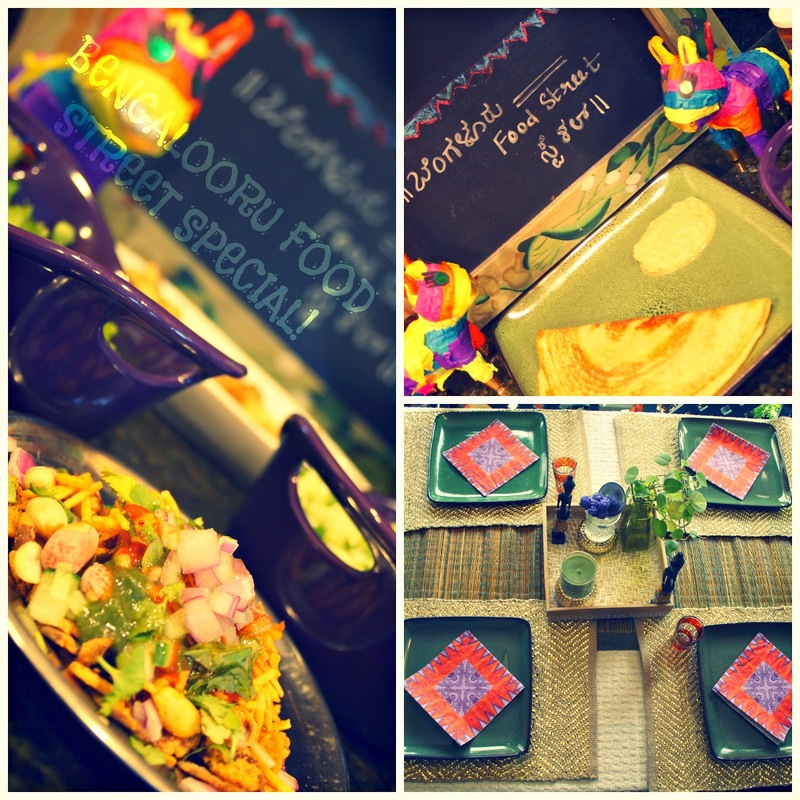 Case in point, see the collage below from a Street Food party I hosted this weekend at my home. So you see, I like having fun with food. Food is a huge part of who I am. So I refuse to send a PB&J as a school lunch. At least, not everyday. So, imagine my chagrin, when my five year olds came home one day to tell me that their Indian lunches were being laughed at in school. Their curries were being made fun of. Their idlys and chapatis were being demeaned. My effort to make them a fresh, home cooked meal everyday was being undermined! "Eew. That looks gross", or "Yuck! That smells so bad!" were the common themes my girls were hearing from their friends. Other Kindergartners, in all their unabashed innocence, were making our girls question why fun (and sugar saturated) store bought snacks like brownies, cupcakes or packaged yogurt was not being sent to school, along with the classic all American peanut butter and jelly sandwich. "Why do you always send us homemade food Mommy?" "Why do you send us Indian food Mommy?" became the favorite chants of my clueless little girls. I explained to my girls that Kindergartners may not know about different kinds of food that are out there in this world - being enjoyed by people like our family. They might welcome the familiar, packaged and mass produced snacks, because that is what is advertised and force fed to them by everyone, including their well meaning parents, literally and figuratively. So I suggested my girls explain to their friends, firmly and politely not to comment on their food, and focus on enjoying their yummy food. Because, remember, Kindergartners do not know much. That advise, for what it was worth, did not work. The "Eews" and "Yucks" continued. So did the tears and commiserations at home. Peer pressure at a piddly age. Sigh.. So, I had a talk with the Teacher. I told her I wanted to share with the Kindergarten class a story about the beauty of food. And it's association with culture. And its importance to the rooting of individual identities. Of course, not in a pedantic and unpalatable way. After all, the kids were 6. And tough to convince. But I wanted to do something in a fun, lighthearted but memorable way. More power to me! Right? The Teacher and I discussed that it may be a good idea for me to do Story Time at school this year (I read to my kids' class every year) with a book on cultural acceptance. So, my concept of "Yoko" story time was born. And boy, was that concept executed in giddy style! Replete with the book, coloring activities for the kids, and a visual aid (I was not allowed a taste and tell with the Kinders! ), I had a blast retelling the story of Yoko at my kids' school, and how Yoko's sushi was made fun of during her class lunch break, and how Yoko's class room had a great food experience, thanks to the efforts of a sensible and adventurous teacher, who noticed how the kids were making fun of something they did not know about!! 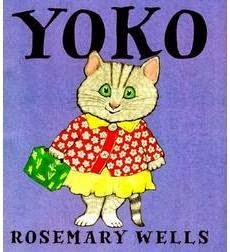 Rosemary Wells, award-winning author/illustrator of over 50 books for children, illustrates her story of learning tolerance for difference in her signature charming style with the book "Yoko". Here's a blurb of the story. Yoko's mother, a full-grown cat, is shown executing the different steps of the sushi-making process, and bright, stylized versions of different animals represent a variety of races and ethnicities. Timothy has peanut butter and jelly for lunch. Valerie has a cream cheese and jelly sandwich. Fritz unwraps a meatball grinder. The Frank twins share franks and beans. And Yoko? Yoko has brought sushi for lunch. Sushi?! The other children at school find her lunch horrifying: "Yuckorama!" Worse, everyone laughs, and Yoko goes through her day listless and sad. Mrs. Jenkins, her concerned teacher, tries to orchestrate Yoko through her difficult day, but nothing works. Then Mrs. Jenkins announces that there will be an International Food Day at school, and Yoko's mother promises to make sushi for the entire class. Yoko's classmates arrive with a colorful procession of dishes from all parts of the world, even the Caribbean coco crisps are devoured, but no one touches Yoko's sushi. Finally, Timothy, an intrepid raccoon, decides to try, and Yoko shows him how to use chopsticks. From then on, Timothy and Yoko push their desks together and share each other's food, opening up their own private "restaurant." This picture speaks for itself. The Kinder story time on food and cultural acceptance was a mega success. 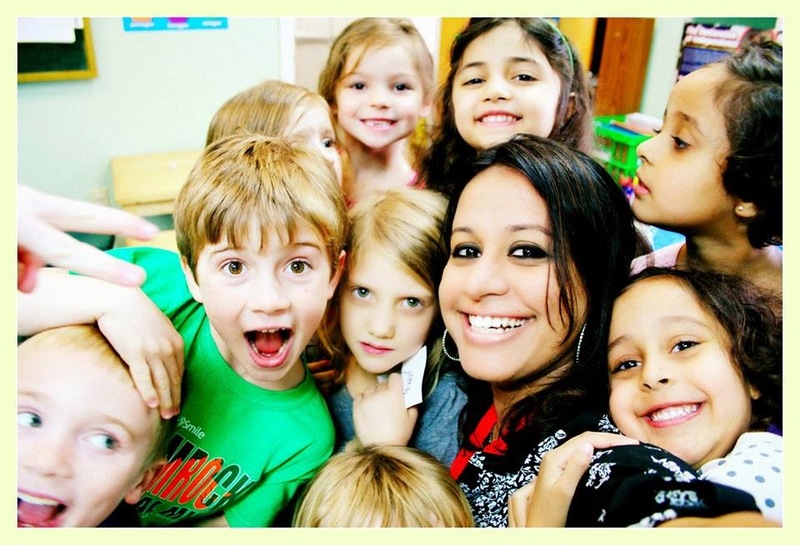 Sure, we had philosophical discussions and posed for funny face selfies...but I also did my bit in sharing my love for food, and my natural acceptance for differences to these peppy little individuals in the classroom. I left these kids with solemn nods, and thoughtful frowns as we discussed how Yoko would have felt when her sushi was made of. I left them jubilantly agreeing that tasting new foods is fun! And I also left them with vows that they would try and learn about all the different kinds of food there is in this world. Because knowing stuff is cool! I believe I did my bit in creating the next generation of foodies. How's that for self preservation combined with some cultural propagation!? This is so heart - warming Supriya! admire you so much for talking to the whole class in a language the children will understand and relate to. I hope your twins will not be teased after this. Much love! Thank you Bhavana! Just doing my bit for my girls and for the sake of food. It's after all, my responsibility to make sure Indian food gets propagated to my next gen. It was pretty fun to engage these youngsters on a discussion about pumpernickel, seaweed sushi, mango lassi and the whole enchilada! Pointing to and talking over glossy images of pretty food in the visual aid. Thats a beautiful one :-) A simple eye-opener for kids, and am sure they have absorbed it well given their age. Thank you Ambika. :) Kids are a tough, but receptive audience! Hey Supriya, such a great read, it definitely took me back to the ages when my kids were young and passing through the same teasing phase with Indian food. I am with you as I still give them chhole and roti for lunch ;) This book used to be our favorite from the library! Loved the thought of a kinder story time. Your girls will be thankful for all you zealously did for them to create and preserve their interest in culture.